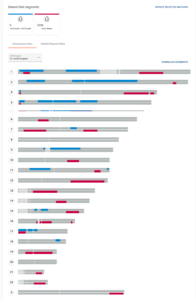 This new chromosome map it produces is much more modern looking and intuitive to use, plus every segment can be clicked to see the information about it. Notice that the centromere is now shown with small white vertical dots and the untested areas are a paler gray, all very pleasing on the eye. Be forewarned though, the download of all your segment data is no longer on this page, it is now at the bottom of the regular Family Finder Match page. A pleasant surprise is a new function, also at the bottom of the main match page, to download the segment data for the filtered group you have selected, e.g. all maternal, paternal, or in common with someone matches. They still include the small segments in the downloaded or viewed numbers even when you select a larger number like 7cM or 10cM. If you are working on the Family Finder Match page and select a few people, then click the chromosome browser button it takes you to the page where you select people for the chromosome browser. I find this an annoying extra step. Be sure to click the big red Compare button. I am going to have to update many of my presentation slides! And it keeps the matches in the same order on all chromosomes. And it shows you the matches’ profiles. I feel like updating slides in presentations has become my new life’s work. Thanks for posting this. When will FTDNA announce this to everyone? Or did I miss it? I wish that FTDNA would also show where the matches are truly triangulated, as myheritage does. Thank you for the heads up on this! I have already given the new system a good workout. 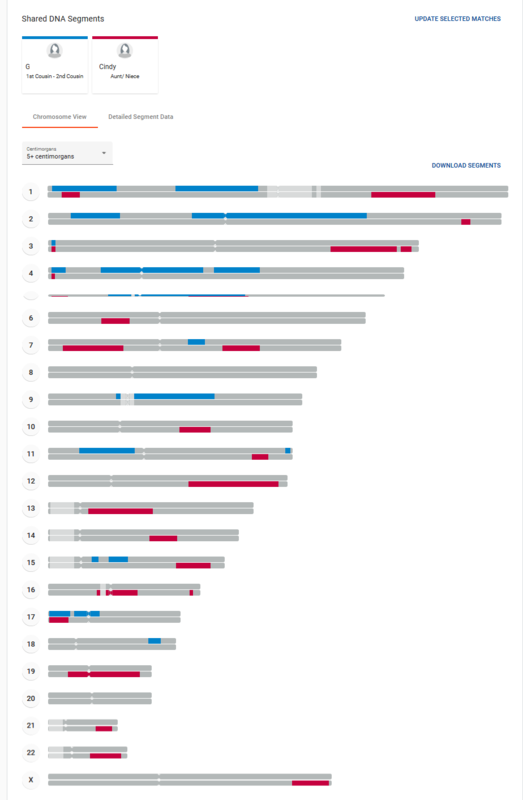 The CB download shows the start/end locus of each matched segment. These locii used to be the Build 36 locii as listed in the raw data. The new CB seems to use locii that are in neither my build 36 or build 37 raw data files. What numbers are they using?